You only get one body and everyone should have the tools to master it. At least that’s what drives Dr. Aaron Horschig to continue to create some of the best educational content in the fitness space. 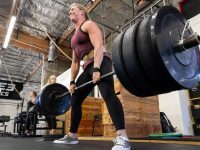 Horschig — a physical therapist, coach, speaker and founder of Squat University –wants everyone to find their true strength. In a world of differing opinion, convoluted information and quick fixes, he offers a refreshing emphasis on the basics and research-based application. 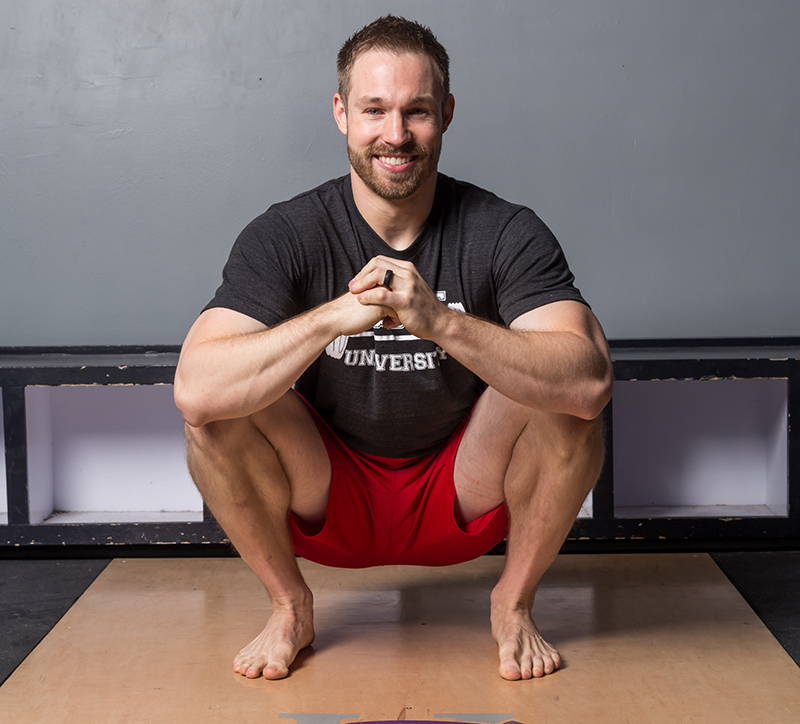 Here, Horschig –author of “The Squat Bible”— delves into the real issue with glute and core training, why squat therapy is a complete waste of time and how to really build a big, pain-free squat. “How often do you hear a coach or practitioner say, ‘well the glute medius is weak’ but if an athlete’s knee pain was ONLY due to the weakness of one muscle wouldn’t we see dramatic benefits from isolated strengthening of that specific muscle? That doesn’t work,” Horschig said. In the weak glute medius example, that means things like addressing a proper hip hinge and teaching an athlete how to create efficient external rotation torque through glute activation. It also means evaluating balance —which Horschig said is the No 1. issue he sees in the squat— and stability. A key factor in trying to fix balance and instability issues? Volume. Most people, even if they are warming up properly, aren’t doing enough volume with corrective stuff to make a change. Throwing a band on for a couple reps isn’t going to do the job. One set of 10 in warmup isn’t going to change the way your glutes, hips or core stabilize under heavy hold because you haven’t built up any endurance. Dead bugs, side planks (including variations where you move your arms) and farmers walks are all great examples of building up core endurance. You are bracing and moving, challenging your body to maintain tension and resist rotation. For the glutes, things like lateral band walks —for multiple burnout sets—banded squats with cues to actively push out against the band or a banded clamshell with a five second hold at the top can also help. “You are teaching the body to create stability. Getting muscles to turn on and keeping them turned on,” Horschig said. Simply put, if stability is an issue (and it very often goes hand-in-hand with mobility and strength issues) time under tension should be utilized to build up the endurance of the affected muscles. Another key element when it comes to squatting big numbers is stabilizing the core through bracing. Research has shown that a brace is the most efficient way to create tension through the entire spine and, as Horschig points out, you can never isolate one specific core muscle. To create maximal stiffness you have to think about all the muscles around your core, all 365 degrees around, getting involved. How do you start teaching yourself this? Start doing it. Whether you’re stopped at a red light or just sitting around at home, practice the act of tightening up. Do it again and again. That mind-muscle connection can be the toughest thing for people to learn. Movements where you have to brace and move, like a dead bug or bird dog, can also be helpful after you’ve made that cognitive connection. They’re a great bridge to loading up that bracing pattern with a barbell. 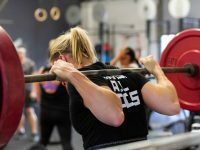 Squat therapy? Knock it off. And while you’re at it, easy on the upright chest cue too. Both started with good intentions, but drive Horschig crazy. That means, depending on your dimensions, not only can squat therapy and forcing an upright torso be impossible for some people, it can also lead to poor form and injury. Instead, spend more time working on your base. As noted above, balance is one of the biggest issues Horschig sees and can often be due to poor stability or motor control. Ever noticed one hip/ankle/knee getting tighter or more sore than the other? Video yourself squatting from behind: a lot of us are victim to the hip shift, using one leg a little more on the ascent, descent portion or both. The video above—along with proper bracing techniques— gets into fixing hip shift, assessing the glute medius and finding weak links in your squat to help restore quality movement. Horschig is the author of The Squat Bible. You can follow him on Instagram or check out his website, Squat University. 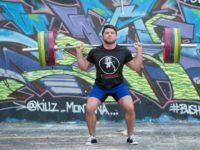 aaron horschig, back squat, bracing, core stability, front squat, glutes, powerlifting, squat, squat therapy, squat u, squat university, weightlifting. Bookmark.